233 Beachside is a stunning 2-story, 4 bedroom and 4.5 bathroom home with an on-site community pool. Each of the 4 bedrooms has its own private bathroom. A generous sundeck and spacious screened porch invite relaxing while enjoying your morning coffee or swaying on the porch swing. Decorated in a cute cottage style, this home is comfortable and cozy. 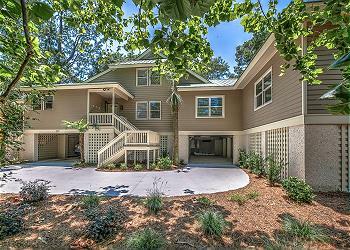 The Beachside community is located in the South Beach Marina Village Area of Sea Pines. 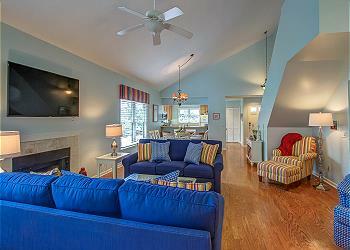 A short one-minute walk to the beach or any South Beach amenities and nightly live entertainment make this relaxing respite the ideal Hilton Head Island vacation home.